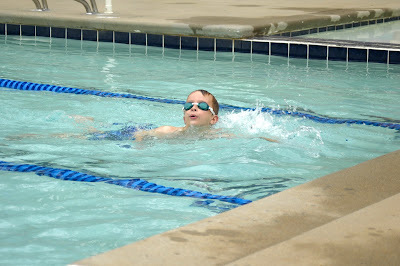 It was 70 degrees today, but Michael still had swim practice. 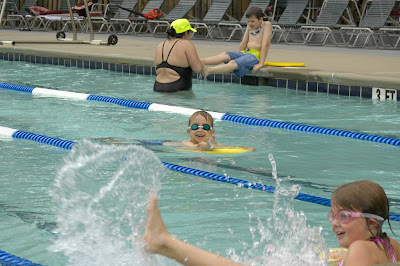 He's having a blast so far, despite the freezing cold water. Of course, Elizabeth insisted that I take her picture. I showed up after practice started, so when Michael was doing kick board, he saw me and gave me a little wave.